Even though dogs are often referred to as man’s best friend, dog bites and attacks can have vicious repercussions. Once a canine or canine crossbreed engages in any such aggressive behavior in Virginia, dangerous dog laws protect people from harm or injury. The owner of a dangerous dog has many requirements under the law and can face criminal penalties for violating certain rules and regulations. The definition of a dangerous dog appears in Code of Virginia Section 3.2-6540. There are two different categories of dangerous dogs under Virginia law. The attack happened on the attacking dog owner’s property. Under the second category, a dangerous dog is one that bites, attacks or injures a human person. But Section 3.2-6540 does not apply if law enforcement determines that the dog bite was a mere nip, resulting only in a scratch or other minor injury. The dangerous dog dies or transfers possession through sale or gift. Furthermore, Section 3.2-6540 requires the dangerous dog owner to notify the animal control authority upon relocation to a new address. The owner has a maximum of 10 days to provide written notice of their new address. Class 2 Misdemeanor — Applies if the dangerous dog attacks and injures or kills another companion animal that is a dog or a cat. The potential penalties include six months in jail and $1,000 in fines. Class 1 Misdemeanor — Applies if the dangerous dog bites or attacks a human person and causes a severe physical injury. The potential penalties include 12 months in jail and $2,500 in fines. Class 6 Felony — Applies if the owner demonstrates reckless indifference in failing to control their animal, and the dangerous dog attacks and injures a human person. The potential penalties include one to five years in prison and $2,500 in fines. If you have legal questions about dog bites or dangerous dogs in Virginia, it can be exceedingly useful to speak with a knowledgeable criminal defense attorney. 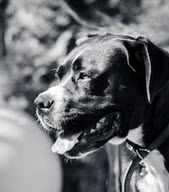 The attorneys at Simms Showers LLP can help you navigate the legal implications of dog bites and dangerous dogs in Virginia, from both personal injury and criminal defense standpoints. If you need legal help with criminal defense, contact us today for a free initial consultation.